I was hosting a couple of gatherings last weekend and wanted to serve dessert. Since we’re trying to cut back a bit, getting ready for swimsuit season I had to put some thought into this! It was our daughter in law Bri’s birthday – so we had to have cake! I went with cupcakes because it’s easier to proportion and then I could also send leftovers home with the guests! 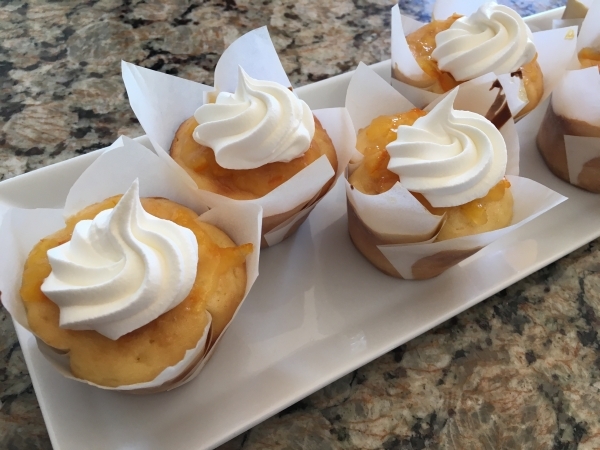 I’m a firm believer in “real” ingredients and not a fan of many substitutes so after researching a bit, this recipe was developed from one I found online called healthy cupcakes – and it included a low sugar filler. “For more than 100 years, Smucker’s® has been making life more fruitful by bringing you delicious fruit spreads and smiles.” With more than 40 varieties, from the Apple Butter of their roots to the ever-popular Strawberry Preserves, they claim to have a flavor for just about everyone. 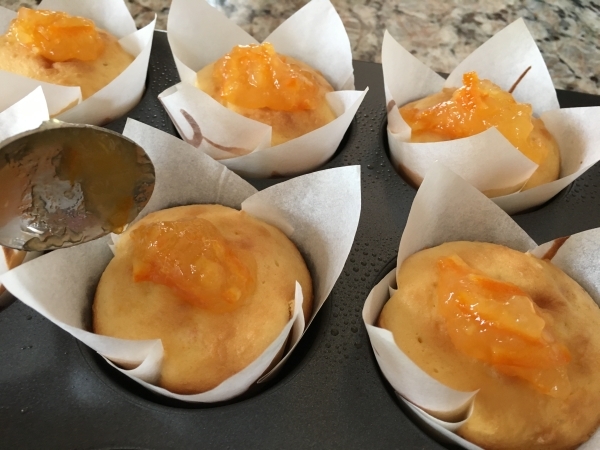 I don’t use a lot of jelly’s or jams due to the typical sugar content but decided to use the Smucker’s Low Sugar – Reduced Sugar Preserves in this recipe that offered a way to “enjoy the fruitful side of life with half the sugar”. 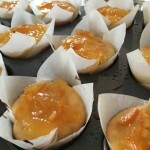 I went with the LOW SUGAR™ REDUCED SUGAR ORANGE MARMALADE, which is made with whole citrus fruit, including the rind. Traditionally sweetened with sugar, fruit juice-sweetened, it’s easy to find at most supermarkets. 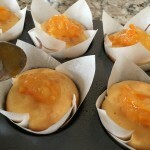 It really added a lush and tangy flavor that made these cupcakes bright and delicious! 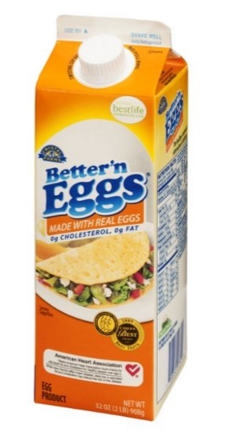 They are really easy to make as well. 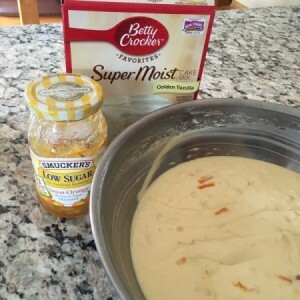 Combine the cake mix, water, oil, egg beaters and 3/4 cup of the orange marmalade in a bowl. Beat the ingredients with an electric mixer on medium-high speed for two minutes. Use a scoop and fill the muffin paper liners two-thirds of the way full with the batter. Bake for 20 to 25 minutes or until the tops spring back and they are golden on top. 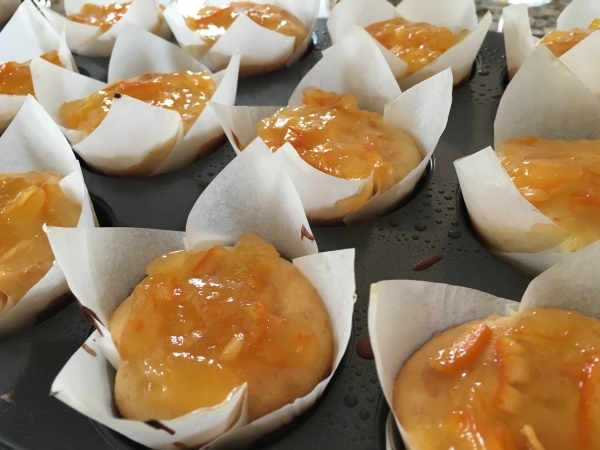 While they are warm, spread the top of each cupcake with about 1/2 to one teaspoon of the remaining orange marmalade, using it up entirely. Cool completely on a cooling rack and top with whipped topping just before serving. Each cupcake is 5 SmartPoints on the WeightWatchers program.